FXCM understands that every trader is different and has a particular set of needs. That is why we designed our platform suite to accommodate all types of traders. 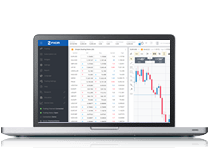 With the flagship FXCM Trading Station, traders can choose between three powerful ways to trade with just one login. Trading Station Web is a very popular choice among FXCM traders. The new Trading Station Web 2.0 platform is built in Mac Friendly HTML5. It has a fresh modern look and a cleaner, more intuitive user interface, along with exciting new features that make this our best web-based platform yet. 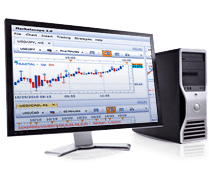 Trading Station Desktop is the right choice for traders who want more advanced functionality from their Trading Platform. Users have a greater ability to customize their platform, and have access to a robust suite of analytical and automated trading tools. Traders have access to pre-loaded strategies, advanced back testing functionality and detailed Strategy, History and Analysis Tools. Learn more about Trading Station Platform. Want to trade on the go? 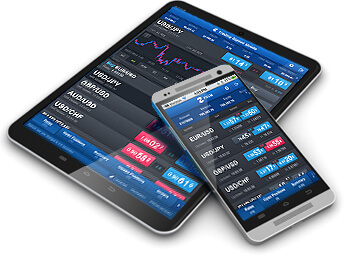 FXCM Traders can trade on Smartphones and tablets, including: iPhones®, iPads®, Android™ phones and tablets¹. Trading Station Mobile allows you to view live streaming rates, place and manage your orders, access charts, and analyze news and reports. MetaTrader 4 (MT4) MT4 traders are attracted by FXCM's unique upgraded MT4 platform, no 3rd party bridges and no auto account syncs, to enhance your trading experience. Note: new MT4 is no longer compatible with Windows XP/Windows 2003/Windows Vista. The minimum required operating system version for running MT4 is Windows 7. ¹Mobile Trademarks: iPhone, iTunes and iPad are trademarks of Apple Inc., registered in the U.S. and other countries. App Store is a service mark of Apple Inc. Android and Google Play are trademarks of Google Inc.
Demo Account: Although demo accounts attempt to replicate real markets, they operate in a simulated market environment. As such, there are key differences that distinguish them from real accounts; including but not limited to, the lack of dependence on real-time market liquidity and the availability of some products which may not be tradable on live accounts. The operational capabilities when executing orders in a demo environment may result in atypically, expedited transactions; lack of rejected orders; and/or the absence of slippage. There may be instances where margin requirements differ from those of live accounts as updates to demo accounts may not always coincide with those of real accounts.